We are revolutionising the industry with a new customer centric standard for managing distressed debt. This new approach sees progressive business processes being combined with innovative technology aimed at achieving improved collections efficiency, an enhanced customer experience and a better recovery result. Customer centric collections focuses on a broader understanding of the customer as well as strategies that can be implemented to enable credit repair. Debt collection is no longer viewed as an archaic process focused only on collecting overdue accounts. Instead, it is becoming a more holistic approach that creates greater customer engagement by delivering a seamless, consistent experience for customers at every step. Nimble handles between 2.5 and 3.5 million accounts. Customisation enables more personalised attention and assists customers to be more in control of their finances. It makes repayments more feasible while ensuring that customers are not extended beyond their means. Being in a position to help our customers manage both their finances and their debt is a cornerstone on the journey to credit repair. We recognise that customers require engaging digital self-service options. 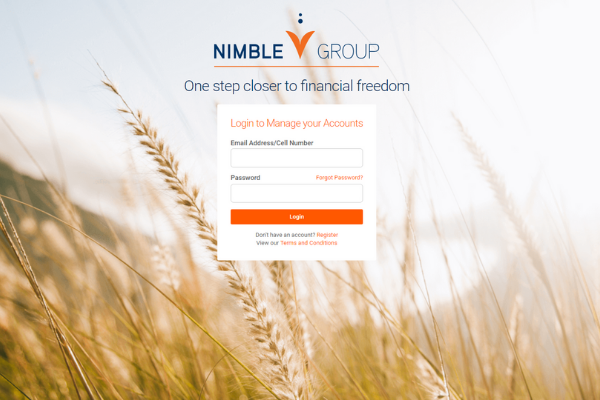 The NimblePay App and Nimble Forms (online collection forms), allow our customers to access their accounts at any time of the day, update their personal information, and create tailored repayment plans that suit their budget, all on a safe and secure digital platform. Digital self-service channels remove the embarrassment and intrusiveness of the traditional collections process. This shift in perspective has encouraged Nimble to move towards an environment which is co-creating value with its customers. Turning a customer centric approach into a productive reality, takes continued commitment to coordinate systemic changes in many areas – from re-defining core strategic values to measuring and rewarding employee performance. It is these on-going and iterative changes that can provide a sustainably better solution for our clients, employees and our customers.